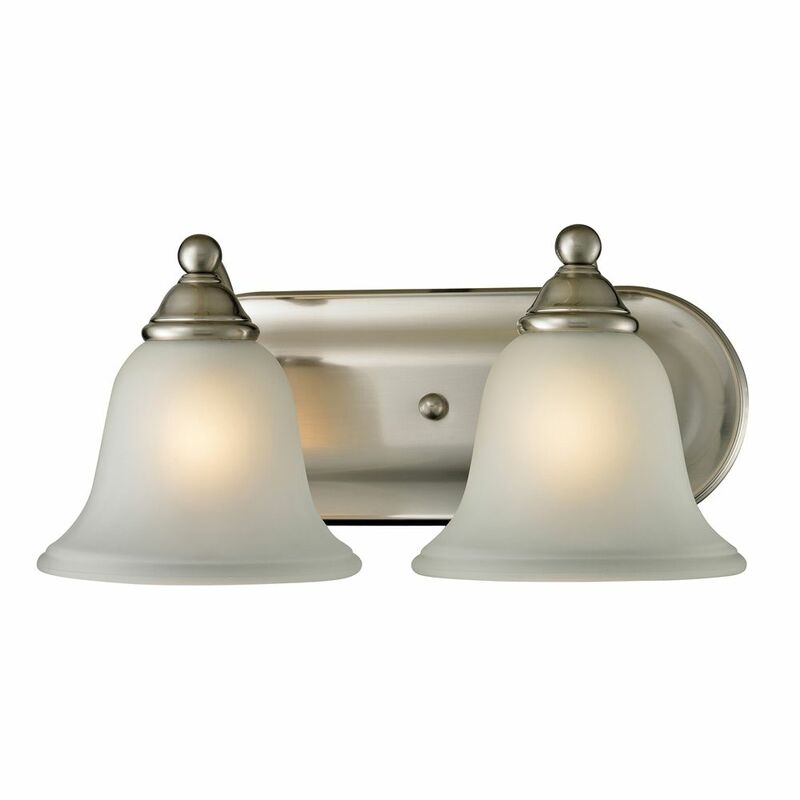 This bathroom fixture comes in Satin Platinum with faceted glass elements shade. This Transitional Bath Vanity will complement the decor in any room of your home. Made with solid steel construction to look great and last for years to come. This Envirolite 3 light bathroom vanity uses 75% less energy than comparable incandescent fixtures. It consists of a durable construction with a simple, classic style that brings a new look and feel to any bathroom. The smooth Tuscana finish is complimented by an amber glass shade. Projection and perspective are the definitive characteristics in the Talo collections. Outwardly extended shades provide a range of space for the clarifying light to softly penetrate. The opacity of the glass softens the look, while the wide open bases allow light to diffuse freely. 2 Light Bath Bar In Brushed Nickel This gorgeous vanity light features a clean design with metalwork finished in brushed nickel and etched glass.